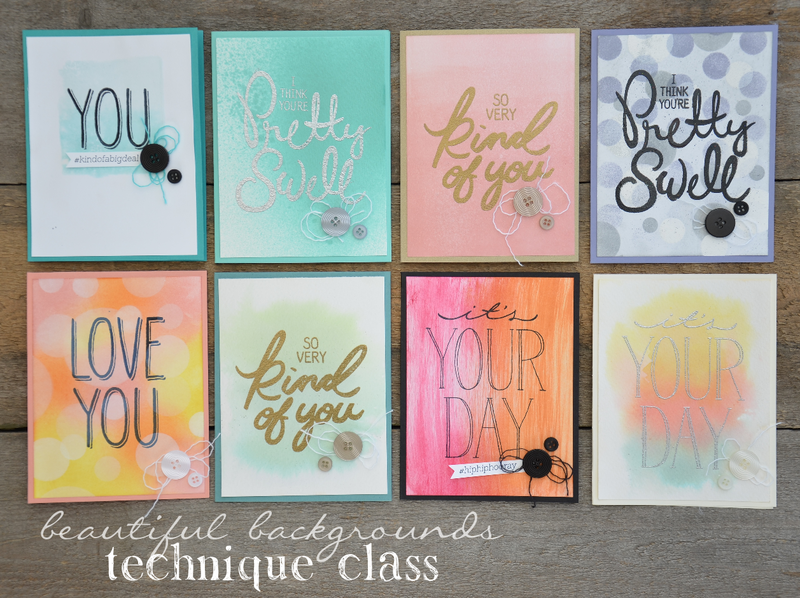 Stampin' Dolce: Beautiful Backgrounds Class! - registration is open! 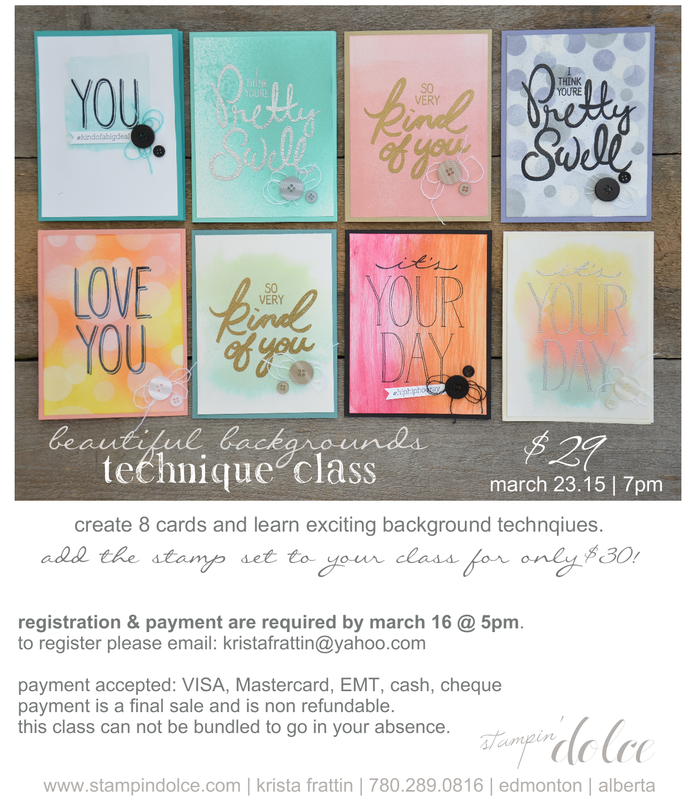 Beautiful Backgrounds Class! - registration is open! I am so excited for this new class on my event calendar! I have been loving the water color trend and have been dying to try the new Boken background technique. Sooo ... I thought that we should do a class about beautiful background techniques! Included in this pricing of this class is a full package of water color paper and a package of Neautral buttons! You gotta love getting awesome Stampin' Up! products to take home! Registration is closing on Monday, March 16 at 5pm - register today! Space is limited and you would hate to miss all of this technique goodness!